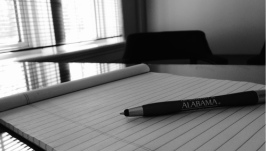 Welcome to the Qualitative Research Certificate Program at The University of Alabama. Throughout this page you will find (we hope) specific information regarding our certificate program and qualitative research course offerings as well as more general information regarding qualitative inquiry across campus and throughout an interdisciplinary array of academic fields. More than simply serving as a list of programmatic or even field-based bits of information, it is our hope that this website helps to facilitate a growing community of scholars interested in qualitative inquiry. In the future, we aim to align this online presence with other complementary events and practices that, together, sustain and productively challenge our ongoing work as engaged scholars. We hope to connect with you soon.